Display all your tasty cakes, muffins and sweet treats in vintage elegance with the help of this mirrored display stand. Perfect for weddings, birthdays and home baking. Very decorative in a vibrant polished copper base with filigree surround for a stunning effect. This cakes stand will ensure that your cakes are the best on show. 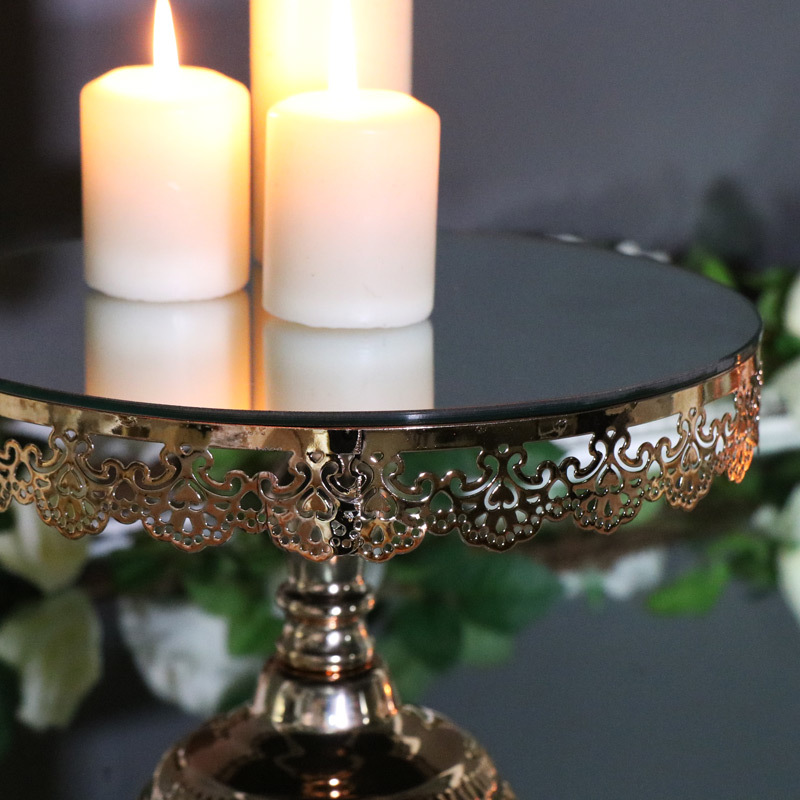 Of course you don't have to just use this for cakes, this stand will also make the perfect showcase for precious ornaments, trinkets and a wonderful candle display. Display all your tasty cakes, muffins and sweet treats in vintage elegance with the help of this mirrored display stand. Perfect for weddings, birthdays and home baking. 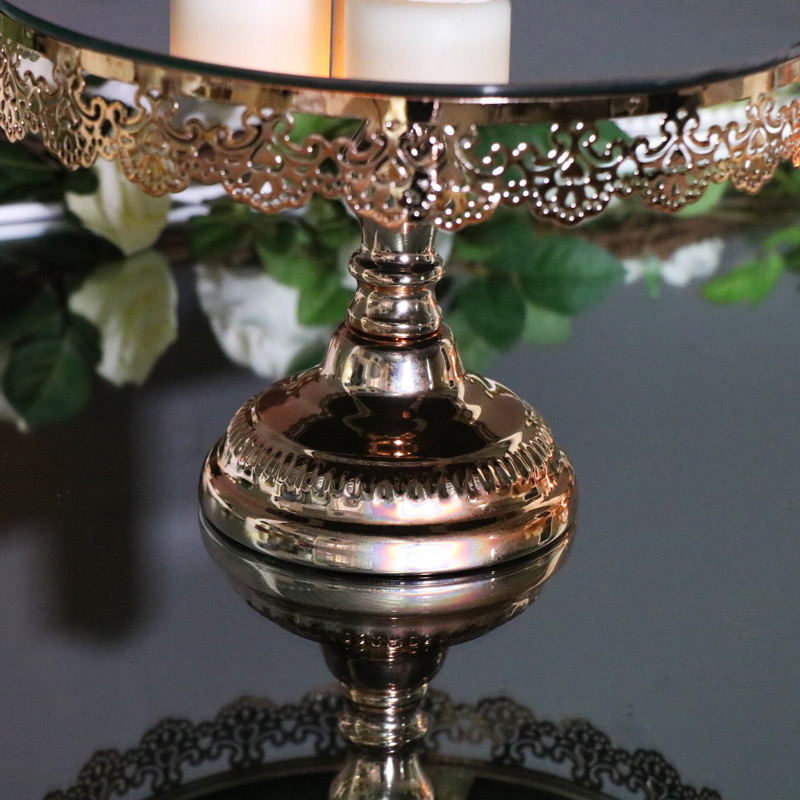 Very decorative in a vibrant polished copper base with filigree surround for a stunning effect. This cakes stand will ensure that your cakes are the best on show. 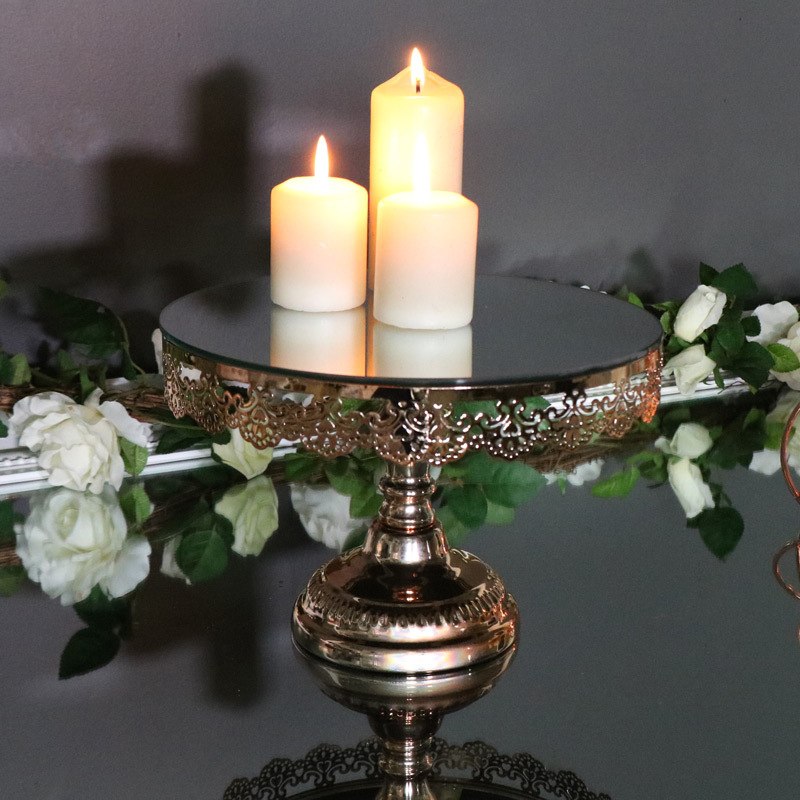 Of course you don't have to just use this for cakes, this stand will also make the perfect showcase for precious ornaments, trinkets and a wonderful candle display. The stand is constructed with a metal base, finished in polished copper and completed with a round mirrored surface. With a fantastic range of gifts and home accessories to choose from, you're sure to find something to suit every occasion.